So happy to be introducing you all to the super hot Hero&Cape! All about making you the hero of the story, Hero&Cape produce modern twists on 90's fashion with vibrant colours and patterns. 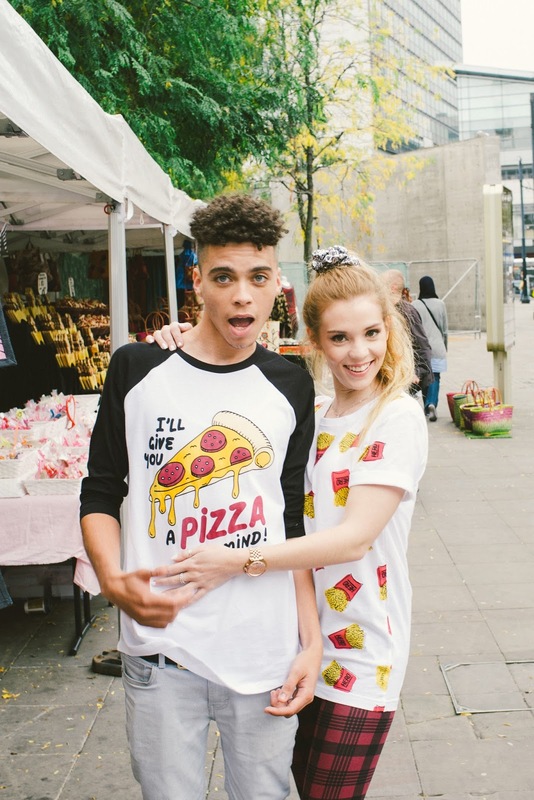 Definitely some of my favourite T-shirts are from these guys and it was such a fun day out modelling for them in Manchester. Modelling the A/W Collection was of course a great honour to be chosen by them and I couldn't have asked for a better team to be with all day. Absolutely love their screen printed shirts which make them all that more fun. As seen on my Instagram the milkshake tee became a little obsession of mine and I can't wait to buy it online so it can feature in more shoots. More photos from this shoot will be up soon so watch this space as it's one of the most amusing and colourful shoots I have done to date. In the mean time check them out at www.heroandcape.com for their shop, LookBook and a behind the scene video of the day!